Universal Nutrition: Animal Test – Will it deliver? The fact is that there are way too many products on the market for you to possibly understand which one is exactly the best for you and your goals. To help you compare one supplement to another, the reviews we provide hold all the relevant information that will assist you in making the right decision. There is no need to get wound up trying to understand ingredients and their complicated formulas, anymore! Universal Nutrition have created a testosterone booster named Animal Test. The muscle building formula comes in a powder and includes anti estrogen compounds which reduce the female hormone production and focuses on increasing testosterone. The product promises to help you gain bigger muscles, increase your energy and deliver a fast recovery. There are a variety of substances that make up this particular formula which has its main focus on body building. Within the product you will find: 3,4 Divanillyl Tetrahydrofuran, Yohimbe, Trans Reservatrol with Hesperetin, 6′,7′ Dihydroxybergamottin and Patented Bioperine and Arachidonic Acid. To regulate testosterone levels is the Divanillyl Tetrahydrofuran which has anabolic ketosterones from Cissus Quadrangulus. For the enhancement of androgen receptor sensitivity there is the most notable ingredient Arachidonic Acid. This ingredient happens to be stimulated when we begin to sweat during a workout and causes an anabolic state to the body. An anabolic state promotes testosterone, increases blood circulation and fat burning capabilities are much better – all of which call for a improved muscle development process. To absorb nutrients during this process, Dihydroxybergamottin and Patented Bioperine are included. It is important also, to block the circulation and reduce the production of the female hormone, estrogen and so involves Trans Reservatrol with Hesperetin. 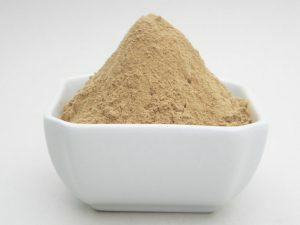 Yohimbe, on the other hand, is a more controversial ingredient that may cause side effects which can be avoided if other ingredients were chosen as an alternative. It is said to assist the libido, but puts you ate risk of side effects including dizziness and nausea. Without a free trial, the risk is spending a large amount of money and putting trust into the company that the product will do a good job – which is what we expect for a price tag of $78.28. If the effects do not show until 42 days after consumption then this supply of 21 packs to last 21 days can be a very expensive ordeal to say the least. If you wish to avoid risking any of the symptoms that may result from consuming a product, like this one, which contains Yohimbe – then you can use Xtreme Testosterone. Yohimbe has sadly been linked to side effects like insomnia, high blood pressure, dizziness and nausea. 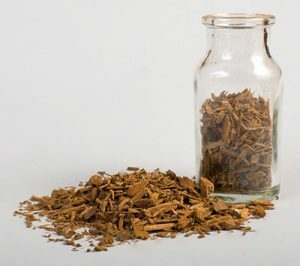 The leading number one brand of the market today instead uses herbs like Horny Goat Weed and Tongkat Ali – which have no known side effects and work to boost testosterone levels. For a month’s supply is just $19.95 which means you can save cash and experience drastic results in no time thanks to the potent and safe active ingredients within this muscle building supplement.